Our cosy and traditional apartments are located right in the centre of Kitzbühel. The building is around 300 years old and was originally a farmhouse. We recently refurbished the apartments and took a great deal of care to retain their original character. Enjoy your holiday in the Elisabeth apartments. We would be delighted to welcome you and your family to our apartments. Should you have any questions just get in touch. Come to Kitzbühel and enjoy perfectly prepared pistes of all difficulty levels, a contemporary infrastructure and any amount of fun for young and old alike. There are mountains here as far as the eye can see. Explore, be amazed & enjoy. We have 5 wonderful apartments in a superb, central location. The apartments have been designed in typically Tyrolean style and have hand-made, solid wood furniture. All our apartments also provide satellite TV, free W-LAN, shower and bath/WC, as well as a kitchen which has all the facilities you require (dishwasher, Nespresso machine, kettle etc.). Each holiday apartment has a car parking space. The perfect holidays in Tyrol ... Looking for a wonderful holiday, cosy, traditional style apartment in Kitzbühel? TheElisabeth Apartments are the right place for you. The Hahnenkammbahn is 550m away, making this is the perfect starting point for your excursions. The Elisabeth apartments are centrally located and provide the perfect starting point for all kinds of holiday activities. Within around 350 metres you can get to a supermarket, numerous restaurants, cafés and bars. Kitzbühel's renowned casino is also just a short walk from your apartment. 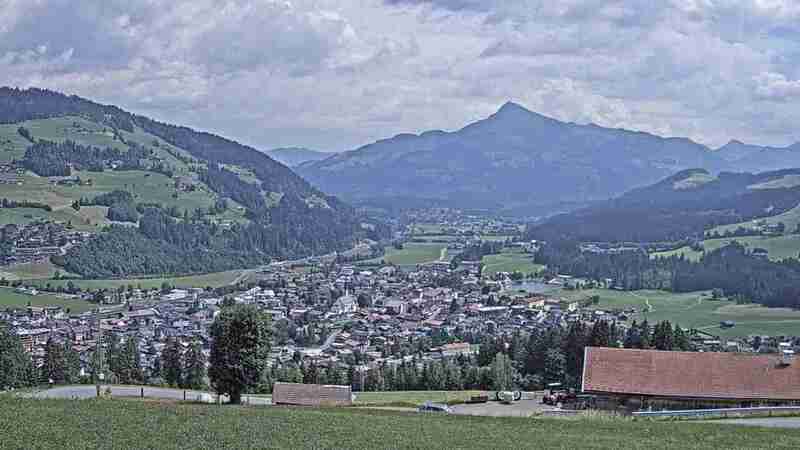 It is just a 7 minute walk to the famous Hahnenkammbahn in Kitzbühel. Should you be arriving by train or by bus, take a taxi to the apartment building, or it is just a few minutes' walk away.